Running any sort of business -- a restaurant or otherwise -- is a delicate practice in doing the "thing" right and maintaining an authenticity and being juuuust innovative enough to keep people intrigued. Fish fry is always going to be popular in the Capital Region because of our cultural history. We have access to fresh seafood on the regular, and even as many turn away from religion, we still enjoy a Lenten Friday fish dinner as part of our collective tradition. But habits change, as do tastes. Tacos were introduced to America in the early 1900s, went mainstream with the advent of Taco Bell and other "Mexican" fast food chains starting in the 1960s, and are now a mainstay of American cuisine that transcend multiple food cultures. They're often an option for people seeking good, wholesome food, that doesn't cost too much. Good, wholesome, and low-priced -- that is Ted's calling card. And the fish taco exemplifies that. 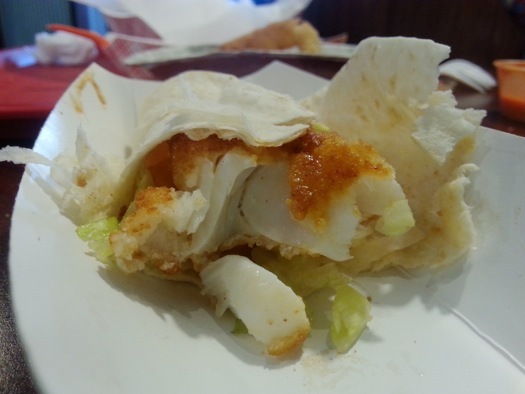 For $2.55, you get a 3-4 inch piece of fried fish wrapped in a warm flour tortilla alongside chopped iceberg lettuce and tomato. The entire thing is surprisingly filling. The fish is dipped in the classic Ted's batter just before frying. It is feather-light but stays crunchy until the last bite. Part of the trick here is that the fish is fried to order, so it isn't left to languish under a heat lamp until some poor soul orders it. It simply doesn't have enough time to get soggy or absorb any rogue post-frying oil. The sauce tastes of honey, cumin, cayenne, and likely a little lime juice. It isn't the least bit cloying, despite its sticky qualities, and provides a nice kick to the delicately-seasoned fish and batter. 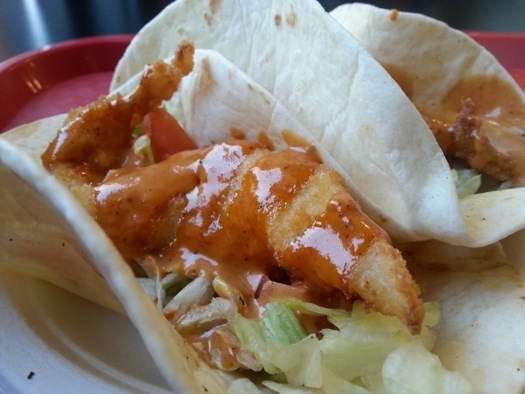 It highlights the entire taco but doesn't overpower the taste of the fish. While others might try to hide a lesser quality fish that might not be as fresh with an aggressive pungent sauce, Ted's sells so much product that freshness is a constant -- ingredients are sold nearly as quickly as they come in the door thanks to the high volume of customer turnover. Together with the warm tortilla, crisp lettuce, and juicy tomato, the entire taco works in harmony. It's not a grand operatic aria of a high-end dining experience. It is more akin to a quick little ditty you find yourself humming throughout the day that you return to again and again. 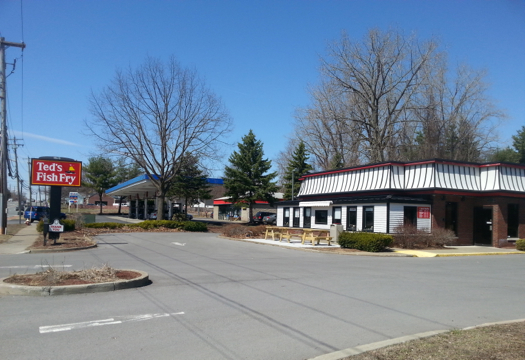 Ted's has six locations around the Albany area, including the newest location on Western Ave in Guilderland. 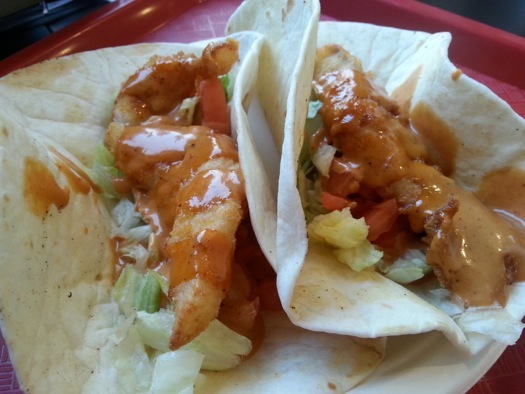 Ted's use of a taco to re-package and re-market its quintessential offering -- the fish fry -- shows why the local chain remains so popular. It continues to make a product that's true its roots while staying abreast of the modern demands and tastes of its customer base. And you still get the old-school experience of having your order yelled out to the cook staff. I have always loved me some Ted's Fish Fry and I love how very little has changed in the thirty some years I've been going. Calling out your order to the kitchen, and the kitchen just, ya know, getting it right. No computers, no paper even! I wish we celebrated businesses like this more. One's that aren't driven by growth and expansion and corporat-izing franchises. And also, a solid employer! I've seen much of the same crew still working the grills at various locations over these many years. Thanks for this article! Off to get a fish taco! I was driving by Ted's not an hour ago and thinking I needed a little pick me up. D'oh! Wish I'd seen your writeup... would have crossed three lanes of traffic on Wolf Rd.